Toshali Resorts Blog – Page 120 – Where Nature comes Alive ! Gaja Lakshmi Puja : The Festival of Prosperity, Good Luck and Abundance. Sankha Chakra Gada Haste Maha Lakshmi Namastute”. Gaja Lakshmi, is a manifestation of Goddess Lakshmi – as Gaja Lakshmi she is the Goddess of Elephants – symbol of represents Power, Strength, Grace and Fertility. Gajalakshmi Puja starts from Ashwin Purnima or Kumar Purnima (Full Moon day in Ashwin month). However at a few places it is also observed on Shukla Paksha Dasami in Bhadra. Goddess Gajalakshmi is one of the Ashtalakshmi (eight aspects of Goddess Lakshmi). The others being – Adi Lakshmi, Dhana Lakshmi, Dhanya Lakshmi, Santana Lakshmi, Veera or Dhairya Lakshmi, Vijaya Lakshmi and Vidya Lakshmi. She is the most powerful Goddess among the eight aspects. She is the one who brought back all the wealth lost by Indra. She is also the Goddess of cattle. The festival is also associated with the birth of Goddess Lakshmi. There is a popular belief that whoever keeps awake during night would be blessed with wealth and prosperity. Card games are particularly popular method of staying awake. She is four-armed, clad in red garments, she carries two lotuses, other two arms in abhaya mudra and varada mudra and she is flanked by two elephants bathing her with water pots. Gaja Lakshmi is believed to be the giver of animal wealth like cattle and elephants. Swami Chidananda interprets Gaja Lakshmi as giver of power of royalty. According to Hindu mythology, Gaja Lakshmi brought back the wealth lost by Indra (king of demi-gods) from the ocean. In Orissa this day coincided with Kumar Purnima. According to the mythology, “Kumar” or “Kartikeya” was an extremely handsome of Lord Shiva. He was born on the full moon day in the month of Ashwin. maidens seek the blessings of Lord Kartikeya to have a handsome life partner in life. Actually the legend of Goddess Lakshmi is the legend of Samudra manthan. Rishi Durbasha cursed Indra to lose all his wealth and when Indra apologized he said that Lord Vishnu would undo the damage. With Lakshmi power, wealth, enthusiasm and radiance left the demi gods. In time the gods lost their immortality and valour. As demonic power occupied the heavens sage Brihaspati with Lord Brahma appealed to Lord Vishnu. He suggested churning the sea of milk. Cutting long story short ambrosia appeared which gave the gods immortality and extremely beautiful and radiant Goddess Lakshmi emerged and restored Indra to his position. She is Gaja Lakshmi. Gaja Lakshmi Puja is the longest festival celebrated in the Dhenkanal and Kendrapara, Orissa. Here Lord Ganesha and Goddess Lakshmi are worshipped. It continues for eleven days. The practice started in 1923 at Kunjasahu Chowk (now Ganesh Bazaar). The entire town is decorated. The Polishree Mela organized by the district administration and cultural programs add charm to the festival. 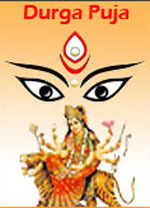 In 2010 Gajalakshmi Puja will be celebrated in October 22nd in Orissa. Idols of the Goddess are installed and worshipped. Devotees observe fast on this day. Offerings are made to the Sun God. And in the evening, food offerings are made to Moon and the fast is broken. The festival has special significance for maidens. They play a special game called ‘Puchi on Kumar Purnima day. Toshali Resorts invites you to witness and celebrate this year Gaja Lakshmi Puja Festival on October 22nd in Orissa, which is observed for 11-days. For Gaja Lakshmi Puja Festival Reservation Package You can also contact your travel consultant for more details. If you feel, we have missed any information that is helpful for your friends visiting this blog, do post your comments and conversation. Guru Purnima Festival: Devotional Worship of the Guru – the preceptor. In Hinduism Gurus are often equated with God and always regarded as a link between the individual and the Immortal. Just as the moon shines in Sun light so can disciples dazzle in the reflected glory of their Gurus. The full moon day in the month of Ashad (July-August) is observed as the auspicious day of Guru Purnima, a day sacred to the memory of the great sage Vyasa. It is believed that on this day Krishna-dwaipayana Vyasa – author of the Mahabharata – was born to sage Parashara and fisher woman Satyavati. Veda Vyasa, did yeoman service to the cause of Vedic studies by gathering all the Vedic hymns extant during his times, dividing them into four parts based on their use in the sacrificial rites, and teaching them to his four chief disciples – Paila, Vaisampayana, Jaimini and Sumantu. It was this dividing and editing that earned him the honorific “Vyasa” (vyas = to edit, to divide). He divided the Veda into four, namely Rig, Yajur, Sama and Atharva and wrote the 18 Puranas, the Mahabharata and the Srimad Bhagavata. Vyasa even taught Dattatreya, who is regarded as the Guru of Gurus. On this day, all spiritual aspirants and devotees worship Vyasa in honor of his divine personage and all disciples perform a ‘puja’ of their respective spiritual preceptor or ‘Gurudevs’. Traditionally, spiritual seekers commence to intensify their spiritual ‘sadhana’ from this day. The period ‘Chaturmas’ (“four months”) begins from this day. In the past, wandering spiritual masters and their disciples used to settle down at a place to study and discourse on the Brahma Sutras composed by Vyasa, and engage themselves in Vedantic discussions. The Buddhist celebrate it in the honor the lord Buddha who gave his first sermon on this day at Sarnath, Uttar Pradesh. The sermon Buddha gave to the five monks was his first sermon, called the Dhammacakkappavattana Sutta. Buddhists observe on this day uposatha i.e. to observe eight precepts. Vipassana meditators practice meditation on this day under the guidance of their teachers. According to Jain traditions, it was on this day, Mahavira, the 24th Tirthankara, after attaining Kaivalya, made Indrabhuti Gautam, later known as Gautam Swami his first disciple, thus becoming a Guru himself. Nuakhai (also known as Nabanna) is an important social event and festival mainly observed in Western Orissa (Kosal) in India particularly Sambalpuri cultural area in the Oriya month of Bhadrab. The festival is sort of thanks giving to Mother Earth for a good Kharif season harvest. Nuakhai means partaking of the first grains of paddy. Nuakhai is observed on the day after Sri Ganesh Chaturthi. It is the fifth day during the Shukla Paksha of the Bhadrab month (August – September). On Nuakhai day, Mother Nature is worshipped for providing food and all those elements essential for the survival of living beings. Goddess Shakti symbolizes Mother Earth and is worshipped in some regions and the new Kharif season crop is offered at a Shakti temple. Different types of local sweets and rice from fresh harvest is cooked on the day. Fresh rice is eaten along with Manda Pitha, Khiri Puri etc The offering is made in leaf-cups made from Sal, Palasa, Tendu or Kurei leaves known as ‘Dana.’ Family members then consume the holy offering. There is a queer belief that one who does not eat meat on the Nua-Kahi day, shall born as a heron in the next life 🙂 The Kolhas in Keonjhar celebrate Nuakhai by cooking the new rice in a new earthen pot, prepare fowl curry, brew rice beer and offer it all to ‘Dharam Banga’ or Sun God on one leaf and to their ancestors on another. This is done by men and only men in the tribe. It is difficult to ascertain an ‘age’ for the festival, as ‘Anrna’ or rice paddy, is offered to the Gods since pre-Aryan times. Hindu philosophy believes Anrna to be Brahma. It is also equated to Goddesses Laxmi, hence on the day of Nuakhai Laxmi Puja is observes as well. Nuakhai has been observed by different tribes in different names, as the Dud Khadia and Pahadi Khadia called it as Jeth Nowakhiaa the Oram called it NowaKhani, the Munda called Jam-nowa, the Santhali called it Janthar and Baihar Horo Nawabai, the Birjia called it Nawaba and Jam-nowa, the Parajas of Bastar and Orissa called as Nowa-aani, Bihara called it Nowa-jam. In Chotta Nagapur area the Ashur tribe which a sub-clan of the Birjhia called it as Nowaa. In Tripura the tribes called it Mikatal, in East Bengal it is known as Nabanna. People believe that if Nuakhai is observed then all the sorrow, pain, disease, crop failure is avoided. This seems to have its antecedents from the nature worshipping aborigines. During the 2nd Century BC Ptolemy described Sambalpur as the kingdom of the Mundas and Sabars. Gand, Binjhal, Sabara, Munda were staying in this area much before to the Arayns. With the passage of time this festival has found its place in daily life. 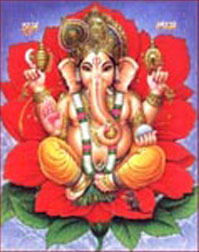 Ganesha Chaturthi or Vinayaka Chaturthi, is the festival of Shree Lord Ganesha (The Elephant God). He is the Lord of success and destroyer of evils and obstacles. He is also worshipped as the god of education, knowledge, wisdom and wealth. In fact, Ganesha is one of the five prime Hindu deities (Brahma, Vishnu, Shiva and Durga being the other four) whose idolatry is glorified as the Panchayatana Puja. He bestows his presence on earth for all his devotees in the duration of this festival. It is his birthday. Before 1893, Ganesh Chaturthi used to be an important family festival during the Peshwa rule in Maharashtra, but that year, Indian freedom fighter and social reformer Lokmanya Tilak transformed the annual festival into a large, well-organized public event. He recognized the wide appeal of the deity Ganesh as “The God for Everybody”, and popularized Ganesh Chaturthi as a national festival in order “to bridge the gap between Brahmins and ‘non-Brahmins’ and find a context in which to build a new grassroots unity between them”, and generate nationalistic fervor among people in Maharashtra against the British colonial rule. The Lord is welcomed in homes/community pandals with Coconut, Jaggery, 21 ‘Modakas’ (Laddus), 21 ‘Durva’ (Trefoil) blades and red flowers. He is anointed with red unguent or sandal paste. His form is symbolic. His head symbolizes the soul and his human body signifies Maya or the earthly existence of human beings. The elephant head denotes wisdom and its trunk represents Om, the sound symbol of cosmic reality. In his upper right hand Ganesha holds a goad which gently guides us on teh righteous path and remove obstacles from our path. The noose in Ganesha’s left hand is a gentle implement to capture all difficulties. The broken tusk that Ganesha holds like a pen in his lower right hand is a symbol of sacrifice, which he broke for writing the Mahabharata. The rosary in his other hand suggests that the pursuit of knowledge should be continuous. The modak he holds in his trunk indicates that one must discover the sweetness of the soul or self. His fan-like ears convey that he is all ears to our petition. The snake that runs round his waist represents energy in all forms. And him riding a mouse symbolises and preaches humbleness. Travel through The Eyes of Travel Writer.. Know Them!! Homer (8th century BC) probably started it with Odyssey — epic poem of the travels of Greek hero, Odysseus, on his voyage home from Troy. Faxian (c. 337 – c. 422), Chinese monk or traveler to India and Ceylon continued the trend in Search of the Buddhist Books of Discipline. Hieun Tsang in 646 AD carried travelogue forward. Then on Marco Polo, Ibn Batuta, Samuel Johnson, Thomas Jefferson, Charles Dickens, Mahapandit Rahul Sankrityayan, Ian Fleming, Vikram Seth have all enriched the genre and I havent even named a ‘few’. Travel literature sometimes intersects with essay as in VS Naipaul’s India: A Wounded Civilization or Rebecca West‘s account of Yugoslavia, Black Lamb and Grey Falcon. Some are fictions – beginning with Homer, Jonathan Swift’s, Gulliver’s Travels, Voltaire’s Candide etc. Some part fiction like Marco Polo or John Mandeville. As a recognised area of writing its not very old. The first international travel writing conference, “Snapshots from Abroad”, was organized by Donald Ross at the University of Minnesota in 1997, it led to the foundation of the International Society for Travel Writing. Travel writing is a varied genre – say Seizal Mehta writing about biking through Manali, Sarchu, Debring, via Leh to Khardungla, Karen Anand’s culinary travelogues or Joan Fry‘s – ‘How to Cook a Tapir’ – recipies from a year’s stay in a Maya village in the Amazonian rainforest. Karen Anand is all about places and their culinary delights. Sarina Singh writes for Lonely Planet and specializes in the Indian subcontinent, Samantha Brown is your host for several Travel Channel shows, Sucheta Potnis writes beautiful pieces on Goa, Michael Palin, almost legendary is an unique combo of a comedian and travel writer. You can go on. Can you earn your living writing travelouges in India? If you are a William Dalrymple it helps :). You need to be seriously good. The editor probably has 20 identical pieces so unless you are the first to land on Titan or Mars you better be good. A varuied perspective helps. Everyone writes about beaches in Nicobar – how many accounts of hunting with the Jarwas or the Onges exist? you get my drift. As television invades our home and we get used to seeing Ian Wright frolicking in Rio and Nigella cooking up a storm or Bear Grylls scooting across Patagonia we are getting used to exclusives. A century ago you had to take a camera to Africa to become an wildlife photographer and look at the effort these days. Its not that Africa has become less exotic but people have invaded almost every corner of the globe. Just surf the net there are hundreds of travel experiences jotted down, its all free and so if you are not thinking out of the box, forget making decent money. The next time when you are around Shilon Bagh or Puri maybe you can discover a ghost or two at the old presidential retreat near Shilon bagh or you’ll catch a blackbuck looking at a mermaid drying her tresses on the banks of Nuanai on a moonlit night 🙂 Write in about your experiences.